Marketing specialist website e-marketing.fr published last month an article (in french) on the personalization of experiences online. 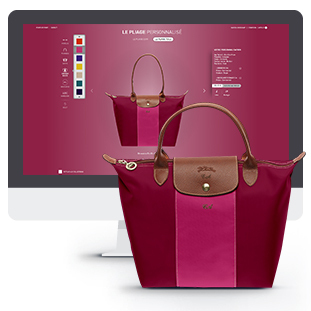 The article mention some of Clever Age realisations that we are particularly proud of: Le pliage personnalisé by Longchamp, an online product customization module, and the personalized content management set-up by Cdiscount using the solution Kamaleoon. Reach out to us if you want more information about our work around customer experience and personalization !